IAQ Solutions offers an extensive assortment of highly detailed Florida & Orlando Mold Inspection & Testing services to isolate and identify the cause and origin of the moisture that is supporting mold growth within your home or office. 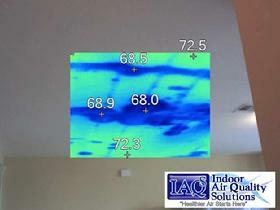 IAQ Solutions consultants can quickly conduct a Florida & Orlando Mold Inspection with minimal disruption to the occupants, utilizing the most effective investigative, diagnostic, or sampling techniques available and applying a full range of analytical methods utilizing state of the art procedures, techniques, and equipment. After our Florida Licensed Mold Inspection consultants have identified the cause and origin of the moisture supporting the mold growth and the extent of the water and mold damage, they will share the results with you, clearly outlining the recommendations for repair of the moisture source and the remediation strategy that will be outlined in the mold remediation protocol. 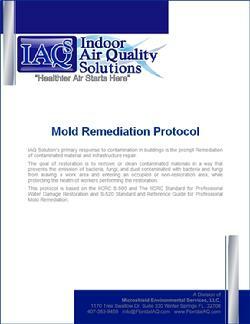 Armed with an IAQ Solutions Mold Inspection and mold remediation protocol, you can then submit the mold remediation protocol for estimates from licensed mold remediation contractors. What "IS" a Mold Inspection? Click to find out more. AIHA Position on Mold Click to read more. First, we pinpoint the problem areas in your home or office. Where is the mold growth? Crawlspace, attic, or hidden in a bathroom wall? All of these are common locations for mold growth. A particulate counter is used throughout the mold inspection to locate probable areas of growth based on temperature, humidity, and particulate levels. Second, we determine the cause of the mold growth. Mold requires water to grow; therefore, we look for a source of excessive moisture. The purpose of the Mold visual Inspection is to identify visual mold contamination or conditions that may be conducive to microbial growth; to detect the presence, or likely presence of mold. A Mold Visual Inspection of your indoor environment must also include the collection of indoor environmental conditions such as temperature, humidity, and airborne respirable particulate levels. When the source of mold is hidden, the use of a particulate counter is essential in locating areas of your home or office that have elevated airborne particulate matter. A particle counter can help by determining the total number of particles in any indoor environment. The results are available immediately and do not require laboratory analysis. The extent of any water damage and mold growth should be visually assessed. This mold visual inspection is important in determining remedial strategies. Ventilation systems should also be visually checked, particularly for damp filters but also for damp conditions elsewhere in the system and overall cleanliness. The use of a boroscope, (fiber optics) to view space inside ductwork or behind walls is used along with the use of a radio moisture meter to detect moisture "inside" building materials, identifying hidden sources of fungal growth and the extent of water damage. Because mold cannot live without moisture, sources of moisture are one of the focal points of our visual inspection. Heating, ventilating and air conditioning systems. Moisture barriers for proper installation and condensation occurrence, via existing wall openings and a fiber optics scope. The moisture content of floors, walls and ceilings--even beneath surfaces--using a non-invasive moisture meter. 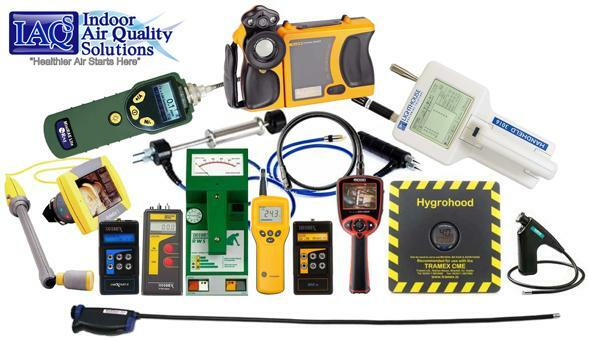 The temperature and humidity of the indoor and outdoor air using properly calibrated instruments. What equipment do you use during a mold inspection? Technology is an important part of the mold inspection process. Our technicians utilize many pieces of diagnostic equipment including moisture meters, hygrometers, boroscopes, and thermal imaging cameras. This equipment allows us to identify hidden sources of moisture and mold growth. How long is a typical mold inspection? A typical home or small commercial office requires 1-2 hours of inspection time. Larger homes or commercial buildings and offices may necessitate more time. What should I do to prepare for a mold inspection? Typically it is best for us to inspect the home or office in 'as is' condition. Mold growth is an indication of a moisture management problem. 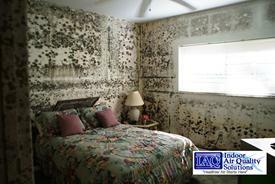 Therefore, it is beneficial for us to observe the mold problem before clean up occurs. What do I receive at the end of my mold inspection? You will receive a Final Mold Inspection Report and Mold Remediation Protocol if necessary. The mold report will outline the results of the mold visual observations, diagnostic data, mold sampling laboratory findings (if necessary) and recommendations from the Florida Indoor Air Quality Solutions Licensed Mold Inspector. Not just laboratory results. Is my mold inspection report sent to a third party? The results of your mold inspection are kept confidential. We do not release your mold reports to any government agency, insurance company, rental tenant, etc. Is Mold Testing or Sampling Really Necessary? Should You Test for Mold? Click to Read More. What does a Florida & Orlando Mold Inspection & Testing Report Include and What makes for a Great Florida & Orlando Mold Inspection & Testing Report? 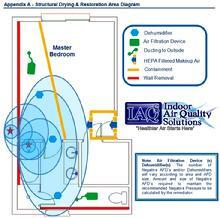 Click to see a IAQ Solutions Mold Report Outline and see a what Mold Report Contains. Should You Test for mold or Inspect for mold? Click to Read More. Why Sample or Test for Mold? Sampling provides us with a method to establish scientifically whether the environment in question contains higher levels of mold spores than would normally be present. We have a lot of mold inspection and mold investigative tools at our disposal such as a moisture meters capable of detecting high moisture in walls that might not be otherwise visible to the naked eye, boroscopes for inspection inside walls, ceilings, and ductwork, hand held laser particulate scanners that help determine areas of the indoor environment that have elevations of particles. 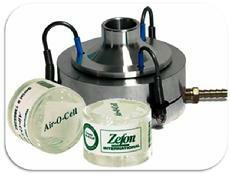 The particulate micron size that can help identify the particulate by its known size. Once the indoor environment has been assessed, it's time to decide if mold sampling is necessary by establishing a Mold Sampling Plan. A Mold Sampling Plan is a description of where, when and how an investigator proposes to sample. A good Mold Sampling Plan should take into account the strengths and weaknesses of each sampling method and use them to compliment each other as much as possible. The goal of mold sampling is to help determine whether the mold or mold particulates present in the indoor environment are elevated enough to negatively affect or cause allergic symptoms with the individuals that occupy the indoor environment. Even when sampling is performed, it's not possible to correlate results with an individual’s symptoms because everyone reacts differently to different levels of molds and allergens. This is called a dose response relationship. Non Culturable or Non-Viable spores are spores that are not capable of growing. Many species of mold produce large numbers of non-viable spores because certain conditions (i.e., substrate nutrients, pH, relative humidity, presence of other molds or chemicals, etc.) affected the growth process. Non-viable spores may not be visually distinguishable from viable samples. They cause the same allergic effects as viable spores. Non-viable spores will not be counted in culture samples. To get a count of non-viable spores, a spore trap of some type must be used so that a microscopic analysis can be completed. Bulk Samples are pieces of material that have mold growth on them or suspected of having mold growth. Visual inspection is enough to identify apparent fungal growth; however, a sample will have to be collected for analysis to determine the mold type. Once in the lab, the bulk sample can be prepared for analysis in a number of different ways. For viable sample analysis a small area is precisely measured and the surface cut or scraped into a nutrient solution and “plated” onto a petri dish. After incubation and analysis, the results will be reported as cfu/cm2. Surface Samples are samples taken directly from a surface suspected of having mold or microbial growth. Surface samples are primarily useful for determining what fungal agents are present on the surface. They do not give reliable indications of airborne spore concentration. However, surface samples can show if there has been an extensive deposition of fungal material through the air. Micro-Vacuum samples which are taken from a surface using a slit sampling cassette contains a slide with a sticky substrate where any particulates or bioaerosols are captured. The cassette is placed just above the surface and the pump is turned on for a short time. Once there is a visible trace in the cassette, it is put onto a slide and analyzed under a microscope. Air samples show only what is in the air at the time the sample is collected. Some types of fungi, such as Stachybotrys, have “sticky” spores that do not become airborne easily. These fungi may not show up in air samples even if they are currently growing in the area. Air samples fall into two general categories (Viable & Non-Viable). The first type, Culturable uses a culture medium of some sort to collect the airborne spores. The spores are allowed to grow and the resulting colonies are counted and identified. Each growth area seen on the plate is known as a colony forming unit (cfu). Since the amount of air drawn through the sampler is carefully documented and the areas of fungi growth on these ample precisely counted, a conversion factor can be used to calculate the number of cfus per cubic meter of air (cfu.m3). Culture samples have advantages and disadvantages. An advantage is that counting and identifying the colonies that grow can be done in such away as to identify both the genus and the species of the organism. On the other hand, these samples do not include non-viable spores, even though such spores can still cause health problems. Culture samples take several days for the mold to grow, so there can be no rush turnaround time. The analysis of samples in the laboratory provides a major portion of the data that is produced during a mold investigation and is used to guide the remediation contactors. This involves analyzing samples under the microscope as well as counting and identifying any colonies that grow on an agar plate. 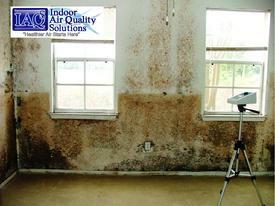 Orlando and Central Florida’s Leading IAQ Indoor Air Quality, Mold Inspection and Mold Testing Company. Do It Yourself Mold Test Kits: If you see or smell mold, you don't need a test kit to tell you it's there. Generally, it's not necessary to identify the species of mold growing in your home, according to the national Centers for Disease Control and Prevention. Once you've isolated the cause and origin established the extent of the water and mold damage there is no need for mold sampling. Mold Sampling or Mold Testing is usually Not Necessary and the genus of mold will not change the way we need to remediate the mold. The actual Visual Inspection of the Mold Damage and the Identification of the Cause and Origin of the Moisture that is Supporting the Mold Growth. Wallpaper is a notorious vapor barrier that can lead to condensation behind the wallpaper. The accumulated condensation (moisture) can then support mold growth. That hidden mold growth will not be detectable via air sampling for mold spores because the mold spores are trapped behind the wallpaper. However the occupants will be able to detect the mold growth by the presence of a musty odor. 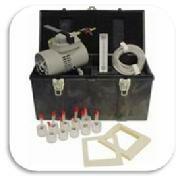 We put the air sampling pump away and provide a solid inspection for the cause and origin of the nuisance odor. Each year as the temperature drops and the use of a home’s air conditioning becomes reduced or completely unused the indoor humidity can easily rise to a level that can and will support mold growth. This is one very moldy house. A small leak left unattended can lead to a substantial amount of mold growth. Stachybotrys chartarum (also known as Stachybotrys atra) is a greenish-black mold that can be found in properties with water damage or highly elevated humidity levels. It can grow on common materials found in buildings that contain a high cellulose and low nitrogen content. These include items such as fiberboard, gypsum board, paper, dust and lint. Growth occurs when there is moisture from water damage, excessive humidity, water leaks, condensation, water infiltration or flooding. Studies have shown that invasive aspergillosis can occur during building renovation or construction. Aspergillus spores are also commonly found in buildings that have suffered water damage or elevated humidity levels that have allowed the mold to grow and multiply indoors. Buildings such as healthcare facilities, with people that have weakened immune systems, need to be especially vigilant of this dangerous pathogen. If you have or suspect a mold or air quality problem, start with this company - they know their business. Their prices are comparable to the market and their response to emails or phone calls has been consistent and fast. Their inspection and protocol prices were right in the middle of the pack and they did,nt want to charge us for a lot of extra testing. John and Lydia came the same day we contacted them. They came with all the right equipment to detect the leak and assess the mold situation. They helped us contact the remediation company to come out the next day. They worked closely with the remediation company during the entire process of cleaning up. Their degree of professionalism and care was above our expectation. John is very experienced in his field and conducts himself in a very professional manner. His equipment is top notch and I consider him to be a leader in his profession. Microshield has the first Mold Inspector Licensed by the State of Florida as a Mold Assessor in Seminole County serving all of Central Florida. Orange, Seminole, Volusia, Brevard, Lake, Osceola, Polk, Flagler, and Indian River Counties. Our ACAC Council Certified Indoor Environmental Consultants have the experience, training and insurance necessary to become among the first Licensed Mold Assessors by the State of Florida.